This is a free service to help connect racers with accommodations in the Crowsnest Pass for the Sinister 7 Ultra race weekend. This in not a complete list so you can also check the Crowsnest Chamber of Commerce Accommodation page. There are a variety of accommodation types including hotel, B+B, private billeting and camping. For people wanting to add an listing, use the links below. 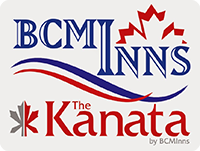 The Kanata Hotel and BCMInns are the official accommodation providers of Sinister 7 Ultra. Best Canadian Motor Inns and Kanata are 100% Canadian owned, and have facilities in nine communities across Alberta. RV and Tent Camping must be reserved online. Check your reservation here. If you need to modify your camping reservation, email . The following is a list of hotels, B+Bs, home billets, campgrounds, and alternate accommodations. Please note that all entries are added by people not affiliated with our race and we cannot vouch for any listings. If you see a listing that you think should be removed due to improper content, please contact us. Barb Hemphill; Coleman, 403 563 8783.